A total of 191 entries were made in the 2017 Card Player Poker Tour World Cup of Cards $1,650 CAD buy-in $400,000 CAD guaranteed main event. A total of 115 entries turned out for day 1B of this event, with only 25 surviving to day 2. A total of 43 players will return on Sunday, August 27 to play down to a final table. The top 24 finishers will make the money in this event, with those making the top eight all earning five-figure paydays, including $98,000 CAD for the eventual champion. The overall chip leader heading into day 2 will be Michael Malm (pictured above) with 414,500. 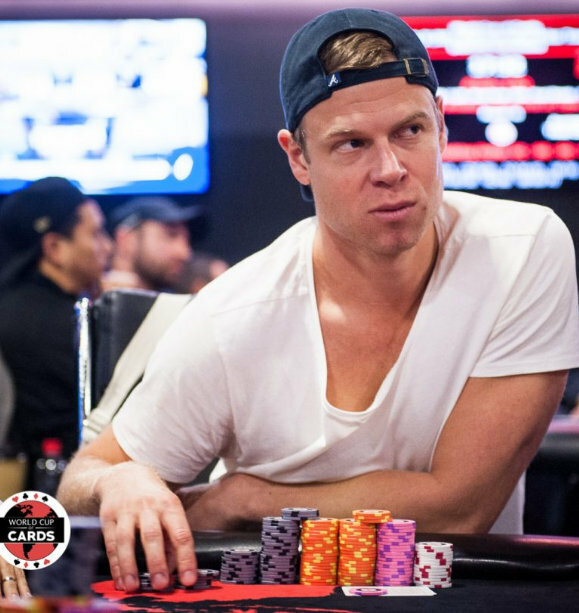 Malm, who played day 1B, has 140,000 more than his nearest competitor, day 1A leader Blake Tarbell. Other big stacks include Jonathan Marrie (267,000), Jake Labonte (248,000) and Jiachen Gong (226,000). 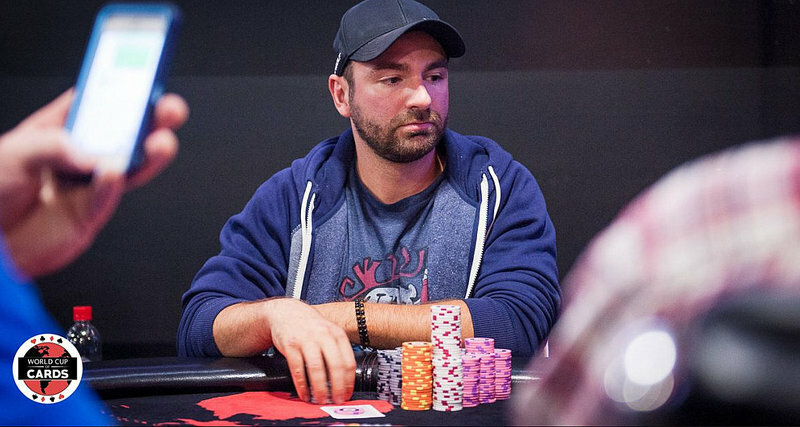 Arguably the most accomplished player still in the field is Canadian poker pro Samuel Chartier (97,500). The 2009 World Series of Poker Circuit Caesars Atlantic City main event winner has more than $2.7 million in career live earnings. There were plenty of other notable players who played on day 1B but failed to survive to day 2, including two-time WSOP bracelet winner Kristen Bicknell, Natalia Breviglieri and 2017 WSOP main event 22nd-place finisher David Guay. The remaining 43 players will return at noon on Sunday, Aug. 27. The World Cup of Cards (WCC) is back for its second year, and this year’s edition is bigger and better than ever! Running until Sept. 13, the WCC features more than $6 million in guaranteed prize pools in events designed to appeal to players of all experience levels. Last but not least among the marquee events in the WCC, is the brand new Canadian Poker Championship. This is a $2,200 no-limit hold’em event that boasts a massive $2 million guarantee featuring three single re-entry “normal” speed starting flights, plus an additional single re-entry turbo starting flight. There’s more! Playground Poker Club has responded to popular demand by adding two additional $5,000 eight-max events plus a $10,000 high roller six-max event to the schedule. The World Cup of Cards caters to all players, with bankrolls big and small. In addition to all of these amazing events, the World Cup of Cards will feature a full range of poker variations, all managed by what has been called the best tournament poker room in the world: Playground Poker Club. Playground Poker Club is Canada’s premier poker destination, conveniently located just minutes south of downtown Montreal in the Mohawk territory of Kahnawake. Built For Players By Players, Playground Poker Club offers unmatched cash game action 24/7 plus a great weekly tournament schedule. For more information about the Card Player Poker Tour, click here. Photos and info courtesy of World Cup of Cards blog.